Submit your questions for Madonna to Billboard. Madonna may answer yours at Women in Music celebration next week. So, what.. 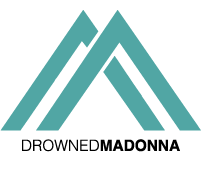 There are speculation about Madonna attending the American Music Awards 2016 tonight. A tweet by Live Nation caused a commotion..
Madonna nominated for 2017 Songwriters Hall of Fame! Associated Press News Break: Madonna is one of the nominees for the 2017 Songwriters Hall of Fame! The Songwriters Hall..